Candyland is more than just a super fun game for all ages! 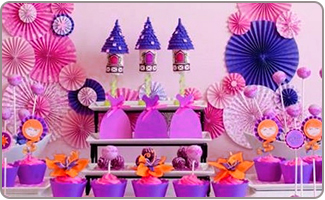 It can inspire a lot of great Candyland birthday party ideas to delight lil candy lovers. 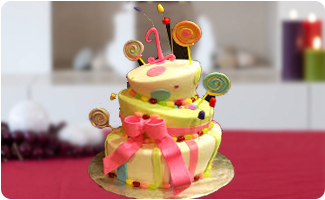 So, if you are looking for Candyland party ideas in India, here are some innovative ideas to help you throw a fun-filled party that is bursting with sweetness and entertainment. 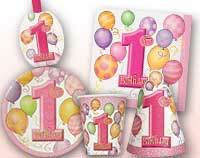 Order your Candyland birthday party supplies with plenty of time to spare before the date of the party. This gives you lots of time to get the supplies delivered, get the invitations mailed out, and have time to get down to planning the rest of the party details. If you plan on having peanut butter at the party, be sure to make inquiries about any potential food allergies. Even dairy and soy can be of concern when it comes to food allergies in little ones. Holding the party in your backyard or at a park will give you lots of space to plan yours activities and spread out the party goodies. If the weather is not cooperative then consider a recreation center, your local YMCA, or even your church's events room for a spacious indoor party. Invite the parents to join in for the fun, especially since some of the Candyland birthday party games will be funnier if kids see their parents acting silly and participating. 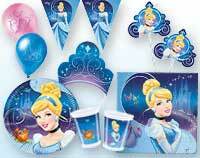 For a Candyland theme invitation in India prepackaged invites makes a great choice. Prepackaged invitations don't just save you a lot of prep time, but they can also help give you some ideas for the rest of the party décor. Get some large lollypops to use as edible invitations. 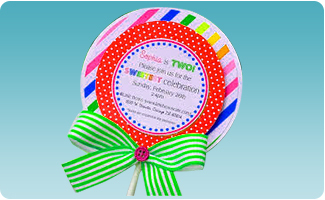 Print the party details on some large labels, preferably some that are decorated with candy shapes, and stick the labels to the lollypops. There are a lot of great stickers and die-cuts that will give you inspiration for creating Candyland theme party invitations. From cupcakes to lollypops and everything in between, with some great wording on the invitation you'll have the sweetest invites around. On some card stock, use your creativity to design invitations that have the familiar Candyland pathway on them, with gumdrops and lollypops on the side of the pathway. Creative phrasing like "Follow us to a world of Candyland fun!" 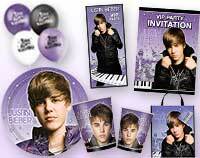 will get the invited guests excited for the party. 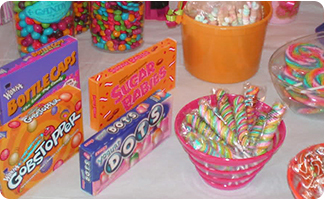 Use large brightly colored buttons as the tops of lollypops, and pretty colored ribbons for the lollypop sticks. Gumdrop shapes cut out of glittery paper, along with a few brightly colored candy cane images will be the perfect choice for a sweet invitation. 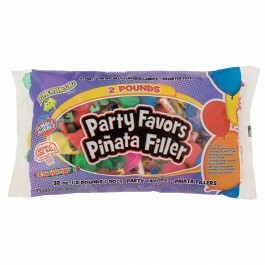 Brightly colored party balloons are a must-have for a Candyland theme party. 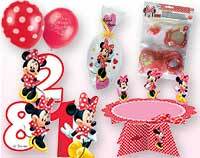 Some Candyland birthday party ideas for the balloons, beyond the usual, include tying cellophane around some of them and attaching lightweight foam sticks so that the balloons resemble floating lollypops. Decorate the pathway towards your front door using chalk to create a Candyland board pathway. Line the pathway with balloons and large foam shapes painted and covered with glitter to look like gum drops. 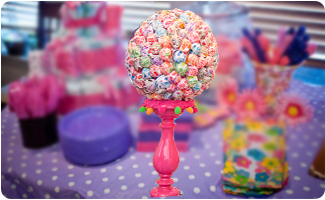 Create candy trees using lollypops, some crafting foam balls, and brightly colored planters. Brightly colored tulle pompoms can resemble candy drops. Hang them from the ceilings or attach them to the back of chairs. Draw large colored circles on poster board to look like candy dots decorating the walls. Poster board can also be used to create lollypops, candy corn, cupcakes, and other sweet decorative treats. 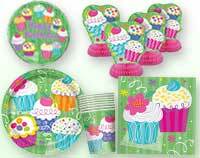 Decorate the party table with some great Candyland birthday decorations that include brightly colored tablecloths, plates, cups, centerpieces, and even utensils. 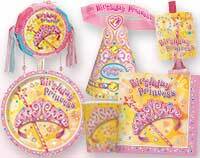 Some other Candyland birthday party ideas for decorating include hanging brightly colored birthday banners and streamers from between doorways. Get some plain t-shirts from a craft supply store, and a lot of puff paints. 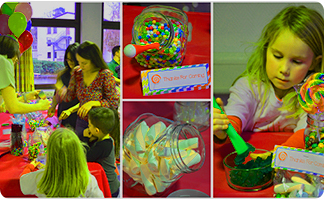 Set up a craft station where the kids can decorate their own brightly colored Candyland party shirts. Brightly colored beads will make a great party activity so that all of the guests can create their own candy-themed necklaces. Pop the candy balloons is a fun game where the kids need to try and pop as many balloons as they can, in 30 seconds, by sitting on the balloons. Fill the balloons up with wrapped candy treats so that everyone gets a prize and surprise when the balloons pop. Pin gumball on the gumball machine is a fun twist of the classic pinning party game. Some poster board and Velcro are all you really need for this fun-filled game. Hopscotch is a great choice for a Candyland birthday party, especially since the squares so closely resemble the Candyland game board. Twister and a good game of Candyland are also fun choices. Consider setting up a life-sized game of Candyland, complete with giant lollypops and gumdrops. Powdered juice mix and some sugar can help you to create brightly colored flavored popcorn that is sure to be a sweet treat for all. Decorate the top of a sheet cake to resemble a part of the Candyland board game. With lots of brightly colored candies and some pretty colored fondant, you'll soon have a Candyland cake that everyone will enjoy. Cupcakes, cake pops, and brightly decorated brownies are all some Candyland birthday party ideas that are alternative to the traditional birthday cake. Decorate round sugar cookies so that they resemble brightly colored swirling lollypops. Use a lollypop stick to add to the fun. Get a great selection of gummy treats and skewer them to create coloring candy skewers. Cover them with cellophane and a ribbon at the bottom. Rock candy, along with some other great candy treats, will look lovely displayed in glass jars all over the party table. Brightly colored punch is a pretty addition to the Candyland birthday party. You could also fill pitchers up with Sprite and plop in ice cubes that have been frozen with bright colored food coloring in them. A Candyland birthday party goodie bag should always include lots of candy, include candy necklaces and rings. Scented bubbles and bouncing balls are also ideal return gifts. Coloring books and brightly colored crayons offer a creative party favor choice. Brightly colored Play-Doh is another favor that is sure to be a huge hit. 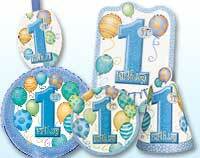 Costume jewelry, toy cars, party blow outs and noise makers are all great Candyland birthday party ideas. Fill these goodies in adorable gift bags to delight your guests.